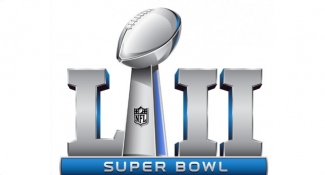 On Sunday, February 4, the Philadelphia Eagles and New England Patriots will meet in Super Bowl LII (6:30 PM ET, NBC) at U.S. Bank Stadium in Minnesota. Super Bowl LII will feature the No. 1 seed in each conference – the NFC champion Eagles against the AFC champion Patriots. It also marks a rematch of Super Bowl XXXIX when New England defeated Philadelphia 24-21 on February 6, 2005 in Jacksonville. This is the third Super Bowl in which each team ranked in the top five in both points scored and fewest points allowed (Super Bowls IV and XIII). The Eagles were third in points scored (28.57 points per game) and fourth in points against (18.4) while the Patriots ranked second in points scored (28.63) and fifth in points against (18.5). The Eagles earned a berth in the Super Bowl with a 38-7 win over Minnesota in the NFC Championship Game. Philadelphia, which scored the final 38 points in the win over the Vikings, became the third team to head to a Super Bowl on a scoring run of at least 38 points. Philadelphia advanced to the Super Bowl for the third time in franchise history (1980 and 2004) and the Eagles are looking for the team’s first Super Bowl title.